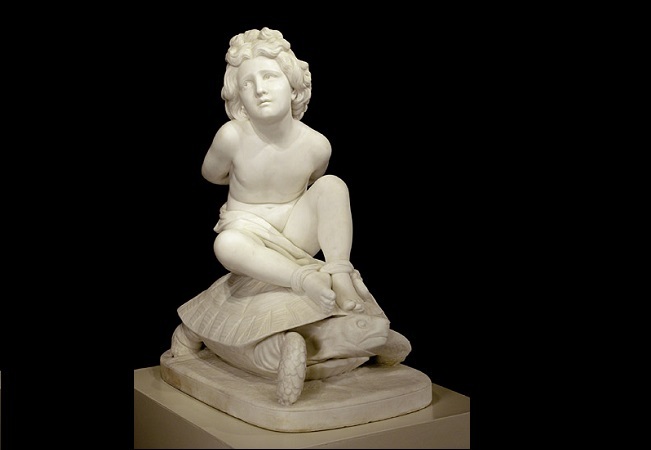 Love Bound (1884), marble by Richard Saltonstall Greenough (1819–1904). Currently at the Post Road Galley. “The Tree of Knowledge” is largely true to the outline of the story James heard from Ariana Curtis. Morgan Mallow is an American sculptor living abroad. Singularly incapable of selling his art, he is fortunate that his wife “brought him, in marriage, a portion that put them at ease.” He is also fortunate that she regards him as “the Master” and admires his art. The couple’s best friend, the bachelor Peter Brench, has always been in love with Mrs. Mallow and is also quite fond of her husband—but he secretly deplores Mallow’s continuously growing “marble family.” When Lance, the couple’s son (and Peter’s godson), announces he wants to drop out of college and move to Paris to become a painter, Mrs. Mallow’s hope—and Peter’s fear—is that the young man will prove to be just as talented as his father. It was one of the secret opinions, such as we all have, of Peter Brench that his main success in life would have consisted in his never having committed himself about the work, as it was called, of his friend Morgan Mallow . . . If you don't see the full selection below, click here (PDF) or click here (Google Docs) to read it—free! Oh, good: Henry James! After a time away, it takes a few minutes to wrestle with his clauses before one sinks comfortably into the rhythm, & then it's old home week. 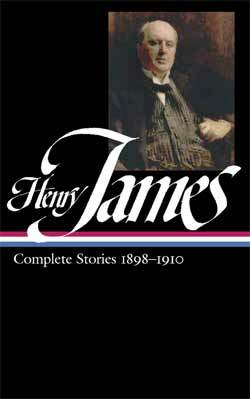 I am very partial to the short stories of Henry James. This one I hadn't read, so thank you.